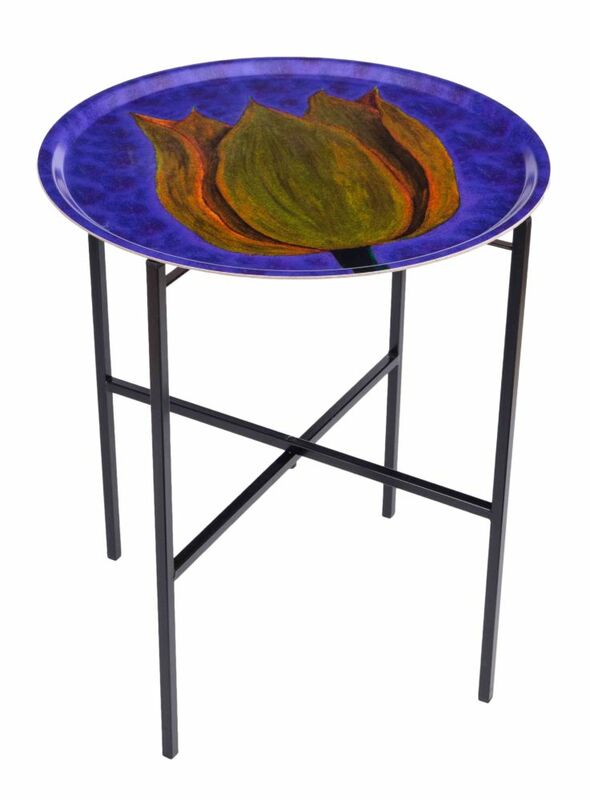 Luxury tray table featuring the botanica print in purple designed by Mariska Meijers. Made in Scandinavia. The botanica pattern is available across our interior collections.